An Artesia man was arrested last week for possession with intent to distribute after being found in possession of marijuana, a scale, and cash. 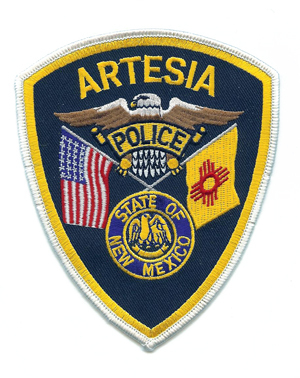 Artesia Police Department officers initiated a traffic stop around 11:44 p.m. Jan. 19 due to a burnt-out license plate light. Upon approaching the vehicle, officers noted it was filled with smoke, and police were able to detect an odor of marijuana. When officers questioned the driver and passenger as to whether there was marijuana in the car, the passenger, later identified as Fabian Torres, 20, of Artesia, pulled a jar of marijuana from the floorboard. According to the criminal complaint, the driver initially consented to a search of the vehicle, then rescinded his consent. He changed his mind a second time, but police informed him a warrant would be obtained, as his consent could no longer be accepted. Officers then questioned Torres, who informed them he had a scale. After being placed under arrest for possession of marijuana, police performed a search of his person and found the scale and $310 in cash. The marijuana in the jar weighed 1.828 ounces, and it, the scale, and the cash were turned in as evidence. The vehicle was subsequently towed pending a search warrant. Torres was charged with possession of marijuana with intent to distribute and possession, delivery or manufacture of drug paraphernalia. He is scheduled for a 9 a.m. Feb. 20 preliminary examination before Judge Jimmy C. Foster in Artesia Magistrate Court.